There aren’t many things as intimidating and daunting as trying to find a church. There are many things to consider when looking for a church, because not all churches preach the Bible. I know that is hard to believe but, as with anything else in life, there are good churches and some churches that just aren’t so good. I’ll never forget the first time I had to look for a church. Having grown up in a pastor’s home, I’d never had to go through this before! I didn’t even know where to start. But here I was hundred’s of miles away from home and looking for a new church. I tagged along with some friends, visited the Yellow Pages (believe it or not, I didn’t know how to use the Internet back then), and it took a few months before I settled on a church that I considered “mine”. That experience taught me a lot! At one church, not one person even acknowledged that I existed. It was like I was the Invisible Man. At another church, the pastor taught things that were clearly not biblical. Then, at the invitation of a friend, I visited a church near me where the pastor preached the Bible accurately, the people were extremely friendly, invited me to spend the holidays with them….and 17 years later, I’m still in touch with the pastor’s wife! Google or Facebook church churches in your area and start writing down the ones near you that stand out. Once you have a list of 5-6 churches that sound interesting to you, visit their websites. As you do, be sure to have the checklist below next to you, so you can start taking notes. 2. Ask friends or neighbors. Do you have friends or neighbors that attend church? Ask them for a recommendation; especially if they have been attending the same church for a few years. This usually means that the church is stable and a place where you can put down roots. There are a few things you’ll want to be looking for in a church. Location – Is the church near where you live? While this isn’t always a deciding factor, for many it often determines how often they attend church and how involved with their church they will be. There is a class for new believers – A church that takes seriously the need to train new believers in their walk with God, what we call “discipleship”, is a church you will want to be involved in. There is a good children’s program – This will be particularly important if you have children. You want to make sure that your children are not just being babysat, but they are learning about Jesus, too! The people are friendly – Part of the reason we attend church is to build friendships with other Christians so that we can find encouragement and help as we live the Christian life. What better place to build friendship with other Christians than at your church, so you want to attend a church where the people are friendly and open to building friendships. There is opportunity to make connections – One of the things that helps create a stable church is the opportunity members have to connect on a more personal level. That can happen through fun events, and through small group meetings. Does the church have events for men and women? Are there home groups or small groups that help to promote deeper and more personal relationships? The pastor is approachable – If the pastor is not approachable to the people, even new people, that is a red-flag. The Bible equates the role of a pastor to the role of a shepherd. A shepherd leads, feeds, and protects his sheep, and the pastor should do the same. In order to do so, he should be approachable and ready to counsel the people in the church. There is room to get involved – A healthy church is a church that allows ordinary people roll up their sleeves and help out. While many church may require a waiting period, to be sure that new people are ready to commit to fulfilling certain roles or tasks, a church that allows you to get involved is a church you want to look for. 4. Visit more than once. Maybe the first visit didn’t go so well. Unless the pastor was preaching something that was completely against the Bible, give it a few more tries before you cross the church off of your list. Perhaps it was an “off” Sunday. That happens to every church! Sometimes things just don’t get off to a very good start, and they continue downhill from there. Yet, maybe your second visit will be amazing! You’ll never know. If after 3 or 4 visits, you still come away with the same impression, then it’s time to cross that church off of your list. Maybe it’s just not the right fit for you. 1. No church is perfect. A church is made up of humans and humans have faults. When you put 50-100 or more faulty humans in one building, you’re liable to have a very faulty church. But here’s something else to remember: You’re also a faulty human! I know, no one wants to admit that, but it’s true. So, even if a church seems amazing and perfect the first few times, after a while the “honeymoon” ends and you start finding things about it you don’t like. Someone will upset you, the pastor will accidentally brush you off when he didn’t mean to, the band will sing the one song you dislike the most, and your child will end up in time-out in Sunday School for something you feel was trivial. 2. Don’t get hung up on non-essentials. While the checklist below is filled with important things to look for, there are some things that should just be overlooked. Maybe the music isn’t very professional or they sing more old hymns than you like. Perhaps they meet in an old building still decorated from the 70s or they coffee they serve tastes like swamp-water. These are non-essentials. Don’t let them become a reason for you to switch churches. Just like it takes time to build a solid friendship, it also takes time to fit in to a new church. This is so with even the most friendly church. Trust must be built on both sides: they must learn to trust you just as you must learn to trust them and this doesn’t happen in a few weeks, or even a few months. Finding a new church is something to be taken seriously, both for the one seeking a new church and for the church to which new people will attend. 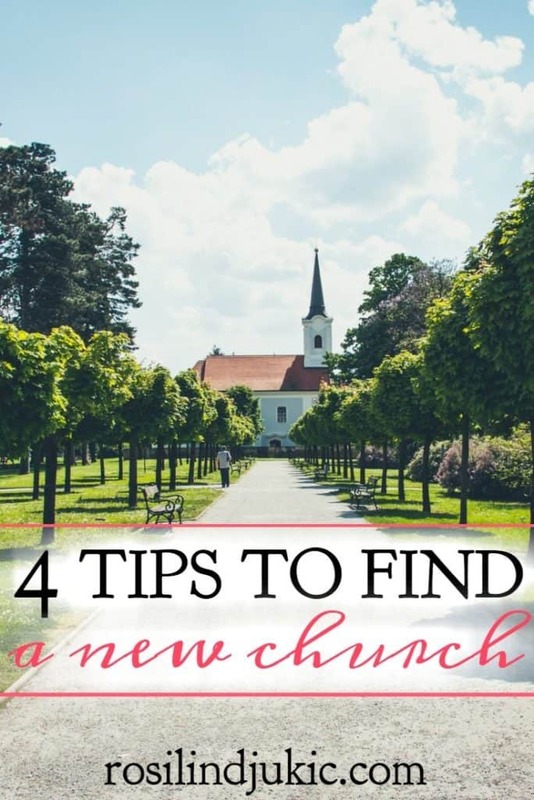 With these 4 tips, along with the checklist, the process of finding a new church should be much easier! 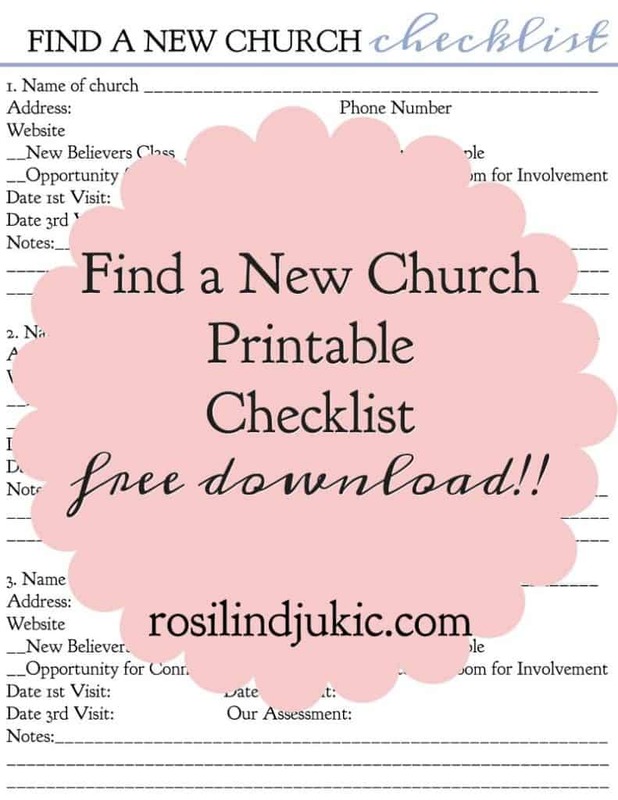 To download the Find a New Church Checklist, simply type your email in below and you will receive it directly in your email! Perfect timing! Of course, as a born again believer and a pastor’s kid I know what to look for doctrinally. But I thought it was neat that you posted this today as I’ve been searching the internet for good churches in the Charlotte, NC area for my mom and brother who will be moving there in May! Love ya little sis! Oh – I’m so glad you found this at just the right time!! How have you been? Thanks for providing this checklist! I definitely agree, more often than not, you’re going to have to go to more than one sermon to determine whether the church is right for you. And leaving because of bad coffee is silly! Thanks for sharing! I’ve been looking for a good faith ministry, and I think that some tips would be nice. I”m glad you talked about how you shouldn’t get hung up on things that aren’t essential. I’m going to have to look for a ew good faith ministry churches in our area and see what we can find! I know God will lead you to the right place. My wife and I just moved to a new area, so we are looking for a church in town to start visiting. I like your point about not getting hung up on the non-essentials like music or the building. We’ll be sure to focus on the people and the messages taught there rather than the aesthetics. Thanks for sharing! My husband and I have attended the same church for 4 years now. At that time, we had moved. We searched using many of the same guidelines you mentioned in your article. We loved the pastor and the way the doctrine was presented. We felt the pastor kept true to the Bible and were eager every Sunday to attend worship. We felt the members of the congregation were friendly enough, obviously some more than others. We felt comfortable there, not as much as our previous church but felt that would grow over time. We both became very involved in the church, serving on staff/parish committees, joining small group studies and volunteering/serving in several of the church’s community outreach programs. Then, as is the custom, our pastor was reappointed to another city. Then people we have served alongside in our church for these past 4 years started what I call, gossip about the leaving pastor, all of which were just personal likes, dislikes, nothing the pastor had truly done wrong but just that they had never cared for him/her and things of that nature. It just showed us a side to the people we didn’t know before and we didn’t like that. We no longer feel comfortable in this church as we cannot have the same feelings toward most of the congregation that we had before. There are several members that we will always love and respect but at least half that we cannot. The new pastor is a great pastor and has all the qualities we would want, it’s just the attitude of the people toward our former pastor that has hurt me and my husband deeply. I have never been what I would consider a “church hopper”, meaning I have attended in my 66 years of life only 5 churches. All of which are the same denomination, having only changed churches due to a physical relocation/move to another city. My husband and I have stopped attending church and we feel miserable. We need to be in church and involved again in our faith community. We both cannot feel the same way in our current church as we had before. We want to look for a new church but at the same time we feel guilty about leaving our old one. We are very torn. Speaking to someone in the church about this problem would only cause bitterness and negativity, both of which I would not want to start. I feel we should just find another church, there are a couple that are actually closer to our home, and give our reason to those asking, that this was our motive for the change. We have prayed and prayed about this and still do not feel we have received a very clear answer. We also have recently been living every other month away from our home town. Our only child and family, moved about 400 miles away so we are trying to live between the two locations. We are also trying to find a church in their city to attend while living there. It is a lot of change. 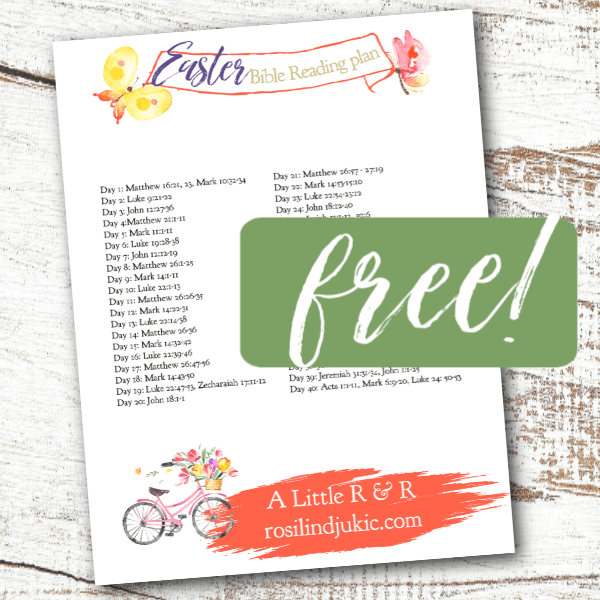 Any guidance you might share would be helpful as I believe there is a reason I stumbled upon your site today. Thank you.